HP Elite x2 1012 G1 12" Convertible Laptop Tablet Intel Core M5, 4GB, 128GB SSD. Strikingly thin and elegant, the Elite x2 1012 is a 2 in 1 for the mobile workforce and executives who want no compromises when it comes to enterprise-class power, durability and productivity on the go, in a stylish design. Stunning IT friendly design. Elite x2 1012 incorporates Elite global enterprise-class security and manageability features, enterprise-class durability, on-site serviceability. Charge devices, transfer data quickly, and connect to 4k devices with the USB-C™ port with Thunderbolt™technology. Help keep sensitive information safe with the latest with Windows 10 Pro and HP Client Security technology solutions. 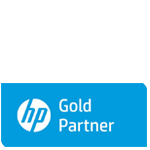 Reduce management time thanks to the 2 in 1 design and HP Client Management Solutions and Intel® vPro.